Tryon Edwards was an American theologian, best known for compiling the "New Dictionary of Thoughts", a book of quotations. He published the works of Jonathan Edwards (the younger) in 1842. He also compiled and published the sixteen sermons of his great, great grandfather, Jonathan Edwards, on 1 Corinthians 13, the "Love Chapter", titling the book "Charity And Its Fruits; Christian love as manifested in the heart and life", thought by some to be the most thorough analysis of the text of 1 Corinthians 13 ever written. 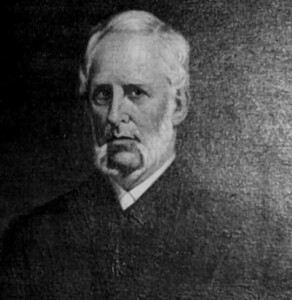 He was minister of the Second Congregational Church in New London, Connecticut, from 1845-1857, after having served in Rochester, New York.